The NCAA Division II Membership Committee has determined that the Embry-Riddle Athletics program has successfully completed the transition from the NAIA to full-fledged NCAA II membership. The announcement was made on Monday, July 17, by University President Dr. Barry Butler at a press conference in the Henderson Welcome Center. Achieving full NCAA Division II membership is a three-year process and Embry-Riddle officially started the journey in 2014. After playing its final season of NAIA competition in 2014-15, the Eagles played the last two seasons against NCAA II competition, but as a provisional member, the program was not eligible for team/individual awards or postseason play. As a full member, the Eagles are now eligible for the postseason in both the Sunshine State Conference and the NCAA, as well as all NCAA and SSC individual and team awards. The Blue and Gold will look to continue a tradition of excellence as they begin the Division II era of the athletics program. Embry-Riddle enjoyed great success throughout its time as a member of the NAIA and The Sun Conference, winning 104 regular season Sun Conference championships, 32 Sun Conference tournament titles, 29 individual national championships, as well as the 2000 Men’s Basketball national championship and the 2013 Men’s Tennis title. Embry-Riddle also won 16 consecutive Sun Conference Commissioner’s Cup titles and finished in the top 10 in the Learfield Sports Directors’ Cup every year from 2008 to 2015. Embry-Riddle’s student-athletes have also proven to be very successful in the classroom, as evidenced by the 321 NAIA scholar-athletes and 80 CoSIDA Academic All-Americans since 1990. Embry-Riddle has had 59 of those CoSIDA Academic All-Americans come since 2010, which is the 11th-highest total among NCAA schools across all three divisions. The Blue and Gold also earned the highest ASR in the Sunshine State Conference in 2016, which measures the Academic Success Rate of student-athletes over a six-year period. Embry-Riddle scored a 94 in the most recent ASR release, which is tied for ninth highest in the country in NCAA Division II. Embry-Riddle has seen its athletics program grow from just three sports in 1988, to 22 sports in less than 30 years. The newest additions to the department include men’s and women’s lacrosse and men’s and women’s rowing, which will all compete in their inaugural seasons next spring. 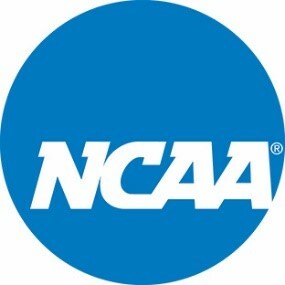 The NCAA Division II Management Council will review and approve the Membership Committee’s decision during its July 17-18 meetings, and if no further action is taken at that time, the membership change will take effect Sept. 1. At that time, the Eagles will be eligible to compete in NCAA-sanctioned postseason competition. Embry-Riddle’s first contest as a full-fledged member of Division II will be held on Thursday, Aug. 31 when the men’s soccer team hosts Francis Marion University (S.C.) at the Embry-Riddle Soccer Stadium at 7 p.m.
To watch a video highlighting Embry-Riddle's journey to the NCAA, click here. Embry-Riddle Aeronautical University, the world’s largest, fully accredited university specializing in aviation and aerospace, is a nonprofit, independent institution offering more than 80 baccalaureate, master’s and Ph.D. degree programs in its colleges of Arts & Sciences, Aviation, Business, Engineering and Security & Intelligence. Embry-Riddle educates students at residential campuses in Daytona Beach, Fla., and Prescott, Ariz., through the Worldwide Campus with more than 125 locations in the United States, Europe, Asia and the Middle East, and through online programs. The university is a major research center, seeking solutions to real-world problems in partnership with the aerospace industry, other universities and government agencies. For more information, visit http://www.embryriddle.edu, follow us on Twitter (@EmbryRiddle) and facebook.com/EmbryRiddleUniversity, and find expert videos at YouTube.com/EmbryRiddleUniv.